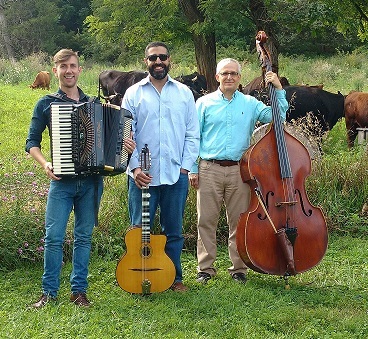 Spend the afternoon on the lawn of the farmhouse, listening to professional musicians from the region, enjoying delights raised and prepared at Bobolink Dairy & Bakehouse! Admission is free, reservations are requested. Lawn seating, so bring lawn chairs or a blanket (sorry, no dogs please). BYOB. Bobolink products will be available for sale during the show, including 100% grass-fed burgers, cheese plates, and fresh garden vegetables. The farm store will be open 9-5, and there will be a farm tour at 2 pm as well! WHERE: Bobolink Dairy & Bakehouse, 369 Stamets Road, Milford, NJ. Some Like It Hot Club is a Gypsy Jazz band based out of New Jersey. Established in 2010, they have played all types of events, from cocktail parties to weddings to outdoor festivals to dances. Gypsy Jazz is a musical style that combines the beauty and sophistication of 1920's-30's Europe with the creativity and excitement of the American art form, Jazz. “Their performances are passionate” (New Jersey Jazz Society). 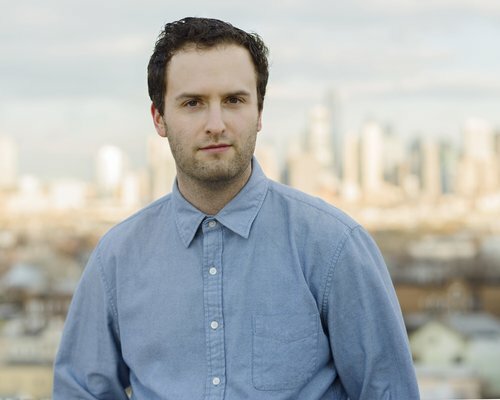 Alex Clough is a pianist, educator and composer born and bred in Brooklyn,NY. As both sideman and bandleader he has played at a wide array of iconic and historic venues, including Birdland, Lincoln Center & SOBs. Reserve your Roast Pork Sandwich on Garlic Duckfat Ciabatta or Bobolink, kielbasa hoagie, or 100% grass-fed burger on a Local Grain Roll at http://shop.cowsoutside.com/specialevents.aspx.